As I was editing the images from the Hill vs. Wakefield game, I clicked on the delete button when I noticed this image was out of focus. But, thankfully, Cam was sitting with me and quickly noticed that this wasn’t one I should trash. 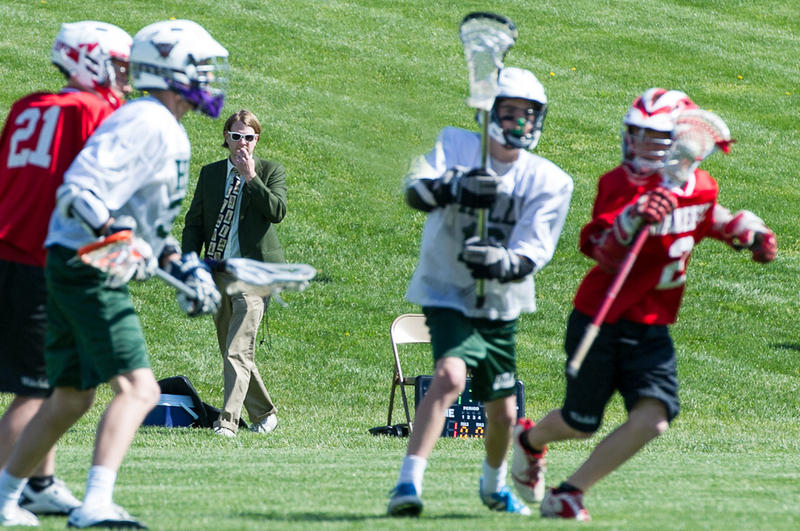 Inadvertently, I’d set my focus on Coach Shupe, who was nervously watching from the sidelines. This was the first game of the season, and he was understandably pacing, not sure how his varsity team would do since he had to draft a half-dozen smallish sixth-graders onto the team. So, for this week’s Photo Challenge: Unfocused, Coach Shupe is focused on the game.